Over the past decade I have had the opportunity to work with some of the world’s best photographers. It’s been pleasure to watch and learn how they creatively document a wedding day. One thing that has stood out to me, and that we have adopted into our studio, is that we do not work from a long shot list. That may sound shocking, but let me explain. From our experience, there are two different schools of thought on this: wedding-day photography as a celebration of the experience and wedding-day photography as a long checklist. In the 80s photographers worked off of shot lists as a result of having a limited number of exposures of film. This is when the photographers would often only deliver around 50 photos total. This is no longer necessary. Everyone wants to remember how they looked on their big day, but with our photography we also want you to remember how you felt and for this reason, along with others, we adhere to the first school of thought. As the photographer we are the eyes of the wedding and will capture the day from start to finish, as it is, in as creative of a way as possible. I get it though, often times brides and grooms are using Pinterest as an inspiration resource. While this can be great, it can often times create false expectations that may lead to disappointment. Let me give you an example. 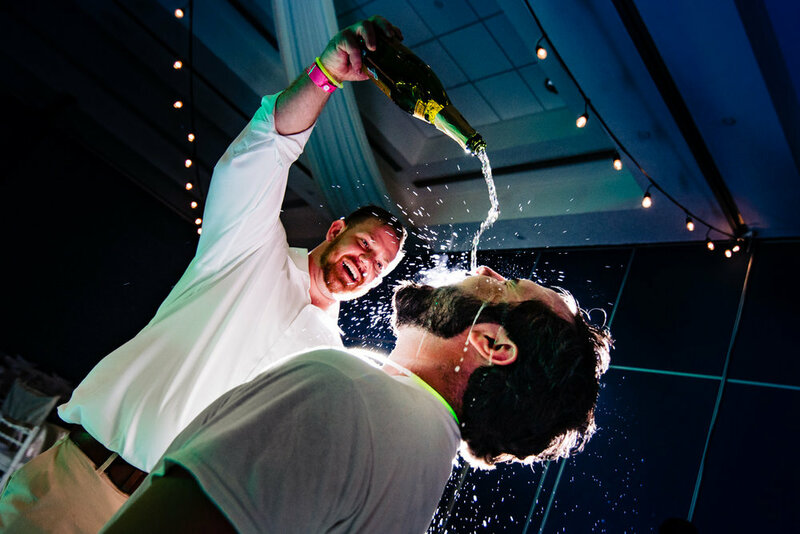 Everyone has seen the fun photos of brides and bridesmaids laughing while drinking mimosas. While obviously a photographer could certainly direct and compose a shot of this sort, why not just have the experience? 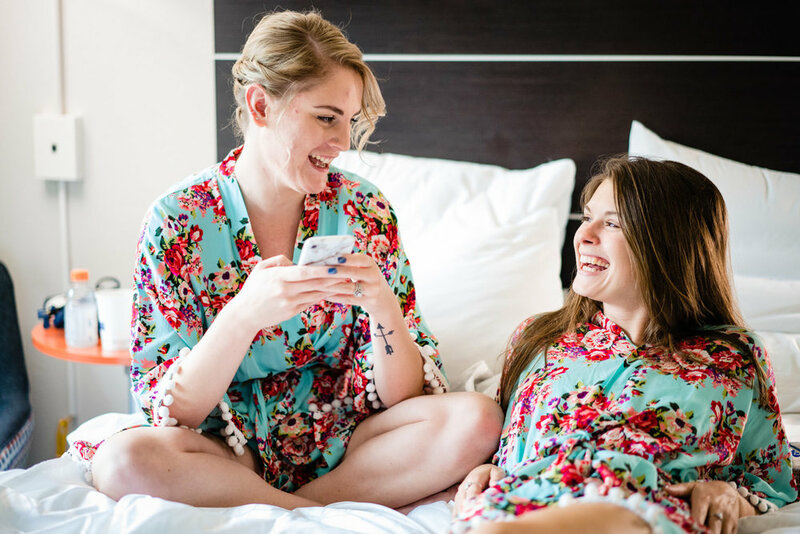 Wouldn’t it be a better to actually do something fun with your bridesmaids? Consider games, music, good food/drinks, an activity, etc. that would sets a mood and allow for such laughter to occur organically. What’s more meaningful, a photo with fake drinks and laughs that looks like one you found on Pinterest, or a photo capturing a real laugh from an organic moment, which brings you back to the joke your sister made about your first boyfriend? When I look at my mom and dad’s wedding photo (yes, there is only one) all I see is the two of them standing side by side looking into the camera. I often wonder what the day was like. Was my dad nervous? What did he do to calm his nerves? Who straightened his tie? Who helped my mom put on her dress? A check list often times promotes the first and ultimately can prevent the latter. All this being said, of course we will organize a list of family portraits with you, and of course most of our signature shots are planned in advance and posed with general directions. These type of shots don’t just happen, but require an organized schedule and planning. If you have any unique details, traditions, guests, or must haves, rest assured we will do all we can to photograph them. If you follow our guidance, and make sure there is time carved out in your schedule, with no overlap of major event, we’ll be able to create one-of-a-kind, signature photos that will become heirlooms for a lifetime. If you liked this article please considering give it a thumbs up and share it with someone it could benefit. If you have questions, as always, feel free to give me a call or leave a comment below.